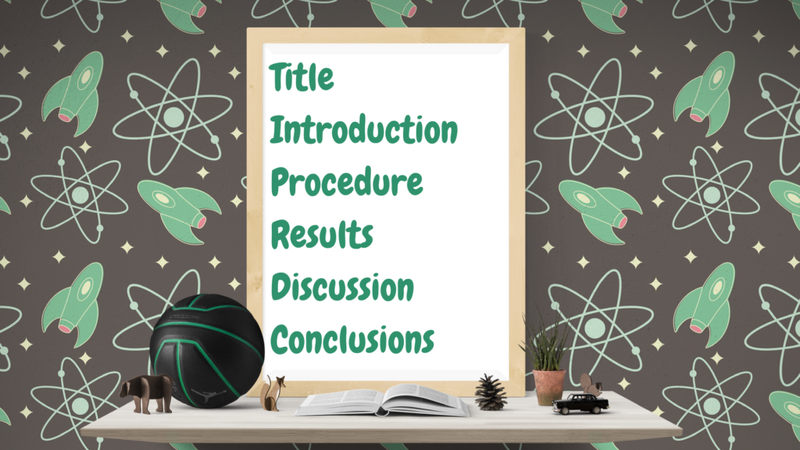 A typical lab report format includes a title, introduction, procedure, results, discussion, and conclusions. A science laboratory experiment isn’t truly complete until you’ve written the lab report. You may have taken excellent notes in your laboratory notebook, but it isn’t the same as a lab report. The lab report format is designed to present experimental results so they can be shared with others. A well-written report explains what you did, why you did it, and what you learned. It should also generate reader interest, potentially leading to peer-reviewed publication and funding. There is no one lab report format. The format and sections might be specified by your instructor or employer. What really matters is covering all of the important information. You may or may not be expected to provide a title page. If it is required, the title page includes the title of the experiment, the names of the researchers, the name of the institution, and the date. The title describes the experiment. Don’t start it with an article (e.g., the, an, a) because it messes up databases and isn’t necessary. For example, a good title might be, “Effect of Increasing Glucose Concentration on Danio rerio Egg Hatching Rates.” Use title case and italicize the scientific names of any species. State the purpose of the experiment. Review earlier work on the subject. Refer to previous studies. Cover the background so a reader understands what is known about a subject and what you hope to learn that is new. Describe your approach to answering a question or solving a problem. Include a theory or equation, if appropriate. Your lab notebook contains all of the data you collected in the experiment. You aren’t expected to reproduce all of this in a lab report. Instead, provide labelled tables and graphs. The first figure is Figure 1, the second is Figure 2, etc. The first graph is Graph 1. Refer to figures and graphs by their figure number. For some experiments, you may need to include labelled photographs. Cite the results of any calculations you performed, such as slope and standard deviation. Discuss sources of error here, including instrument, standard, and random errors. While the “Results” section includes graphs and tables, the “Discussion” or “Conclusions” section focuses on what the results mean. This is where you state whether or not the objective of the experiment was met and what the outcome means. Propose reasons for discrepancies between expected and actual outcomes. Finally, describe the next logical step in your research and ways you might improve on the experiment. Did you build upon work conducted by someone else? Cite the work. Did you consult a paper relating to the experiment? Credit the author. If you’re unsure whether to cite a reference or not, a good rule of thumb is to include a reference for any fact not known to your audience. For some reports, it’s only necessary to list publications directly relating to your procedure and conclusions. Concise: Cover all the key points without getting crazy with the details. Objective: In the “Conclusions” section, you can propose possible explanations for your results. Otherwise, keep your opinions out of the report. Instead, present facts and an analysis based on logic and math. Critical: After presenting what you did, the report focuses on what the data means. Be on the lookout for sources of error and identify them. Use your understanding of error to determine how reliable your results are and gauge confidence in your conclusions.